Children's Sunday School - 9:45 a.m. Adult Sunday School - 10:00 a.m.
​Late Service - 11:00 a.m.
Holy Week begins on Palm Sunday, April 14. Palm Sunday Worship Services - April 14 - 8:30 & 11:00 a.m.
Prayers at the End of the Day - April 15, 16 & 17 - 6:30 p.m.
Maundy Thursday Worship Services - April 18 - 10:00 a.m. & 7:00 p.m.
Good Friday Worship Services - April 19 - 1:00-3:00 p.m. & 7:00 p.m.
Easter Egg Hunt and Party - April 20 - 10:00 a.m.
Easter Sunday Worship Services - April 21 - 6:30, 8:30 & 11:00 a.m.
Easter Sunday Breakfast - April 21 - 6:30-10:30 a.m. The lift is now operational! Please be sure to tell your friends and relatives! Tickets are $20 for a reserved grandstand seat, premium hot dog and a 12 oz Pepsi brand soft drink, lemonade, ice tea or water. They can be paid for up until May 5. Jimmy John's Field is located at 7171 Auburn Road in Utica. Please make check payable to St. Mark Lutheran Church, memo note - Flower Fund. To reserve a date for flowers, see sign-up board in the narthex or contact Debbie Wilson. LYO is holding a food drive until April 21. Donations can be dropped off in the narthex or by the office. ​Smaller size packages are best, as many people carry these items home on foot or bicycles. Altar Guild - set up and clean up after communion, one Sunday per month. Please contact Nancy Fallon or the office for more details. Lay Readers - read the lessons of the day once a month. Substitutes will fill in when the regular readers are note available - you will be notified the Monday before, so you can practice the reading. There was no sermon on Palm Sunday, so we are sharing this reading from the gospel. Videos that are recorded for Facebook Live can be viewed on our page. You do not need an account to access the page. We are always looking for new choir members. ​If this is something you would like to try, contact Roshell Onofrey. Children's Choir - Sundays at 9:45 a.m. 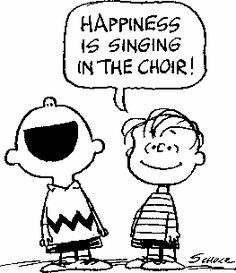 Adult Choir - Wednesdays at 7:00 p.m.
Handbell Choir - Saturdays at 9:00 a.m.
​You don't need to be able to read music to participate, your fellow members can help you learn the music. ​St. Mark hosts a weekly yoga class every Monday at 6:30 p.m.
Amy, the instructor, will help you adapt the poses to reduce difficulty, if needed. Only $5 per class, drop in any Monday! Please help build our history page and photo archives! Looking for a little help from our friends - I would like to add more info to the history page and photo archive on this website. If you have any stories, pictures, videos, or other items you would like to share on the site, please let me know (in person, through Faceboook Messenger, or using the contact link on this site). The Flower Chart for the year is posted on a bulletin board in the narthex. There are Sundays open for Altar Flowers. You can request them as a memorial or to honor someone for a special occasion. ​Fill in the date on the calendar, or contact Debbie Wilson or the church office. Campbell's labels (full labels with UPC). Eyeglasses for the Lion's Club. Please leave them in the coat room. We are also collecting baby product coupons for the Baby Pantry at St. Pio Church on Kelly Road. We are looking for coupons for products like diapers, baby food, formula, wipes, etc. There is box in the narthex where these can be left. At St. Mark, there is a place at the Lord's table for all baptized Christians, regardless of tradition or denomination.